The East Campus Substation has delivered power to the University of Wisconsin and downtown Madison for more than 30 years. However, when the substation began to draw ridicule as an eyesore, Madison Gas and Electric Company needed to find a way to conceal the facility. 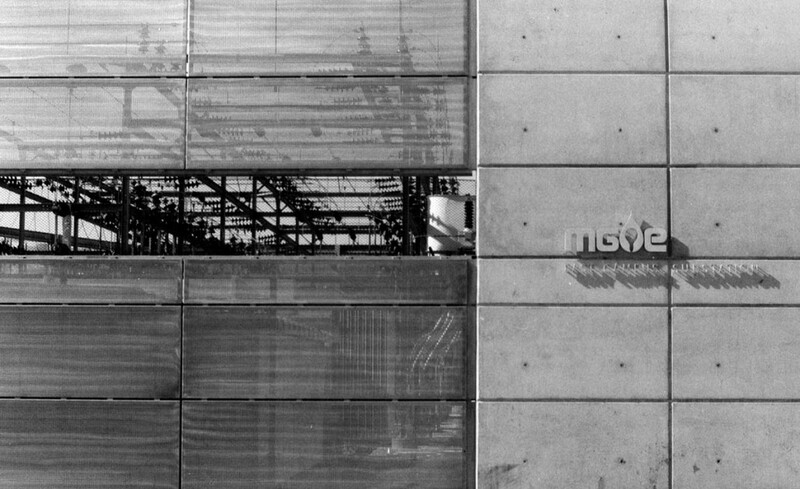 Potter Lawson created stainless steel perforated panels that act as a veil. 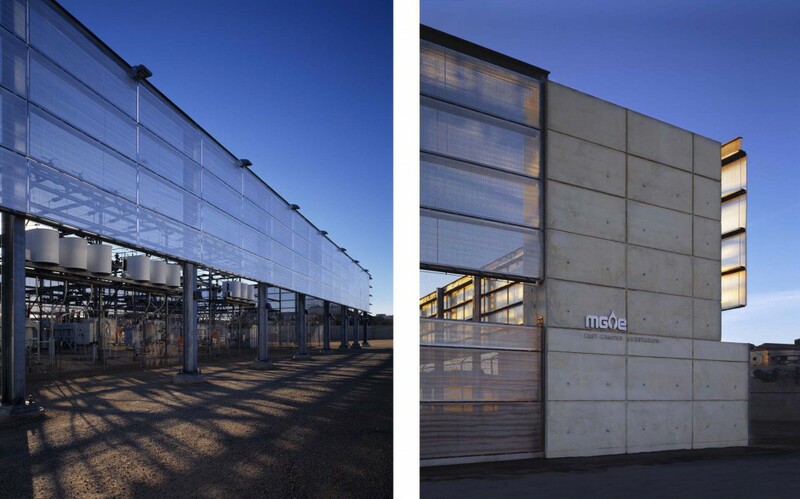 The panels give visual interest to the substation, while still expressing its function. 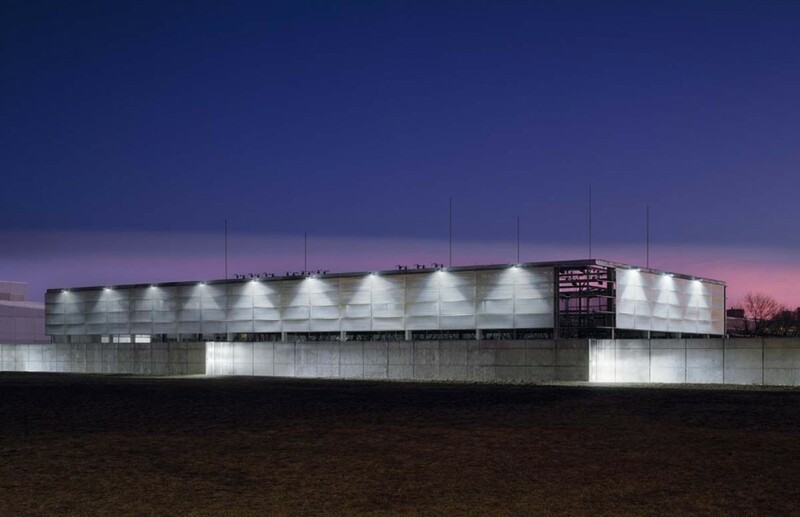 Furthermore, the panels are down lit to illuminate the substation yard, which eliminates the need for lights on the ground shining up on the building. This lighting method conforms with the Dark Sky Initiative and the University’s concern for light pollution.